Ocean trash ranks as one of the most serious pollution problems of our time. Much more than an eyesore, trash in the water and on the shore affectsthe health of people, wildlife and economies. -ensnares boat propellers, a costly navigation hazard. 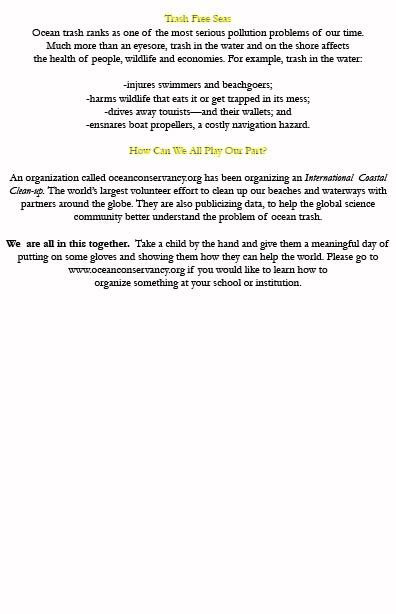 An organization called oceanconservancy.org has been organizing an International Coastal Clean-up. The world’s largest volunteer effort to clean up our beaches and waterways with partners around the globe.They are also publicizing data, to help the global sciencecommunity better understand the problem of ocean trash. Take a child by the hand and give them a meaningful day of putting on some gloves and showing them how they can help the world. 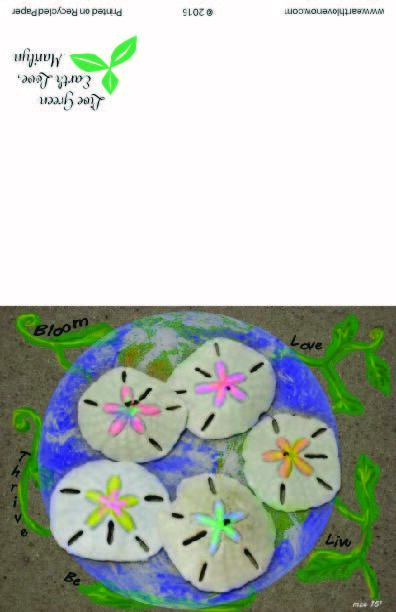 Please go to www.oceanconservancy.org if you would like to learn how to organize something at your school or institution. 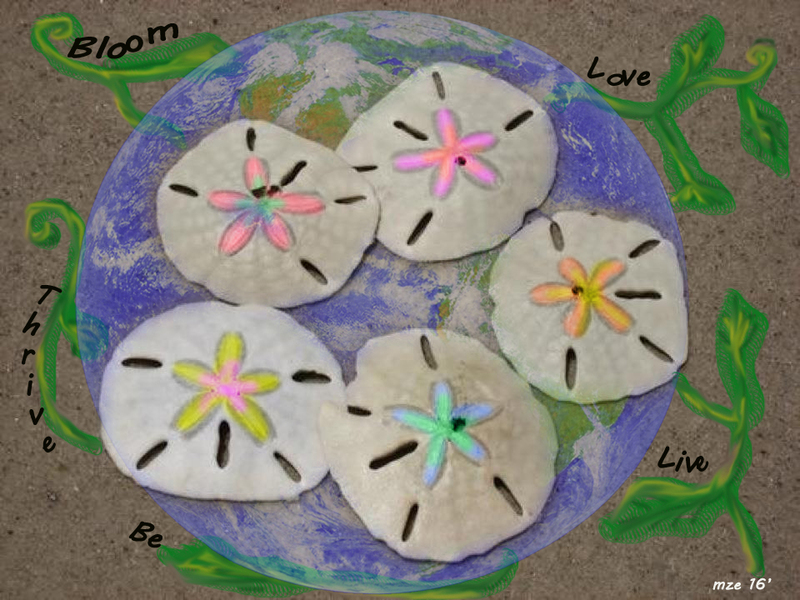 All artwork and intellectual property is subject to Copyright by Earth Love, LLC ( Zeina Inspirations).